Say Hello!! to Newry Rugby Clubs new look kit for the 2018. PIPS Hope & Support and the KBRT and have been selected as the clubs charities for the forthcoming season, with many fundraising events to be held at the club, over the coming months. 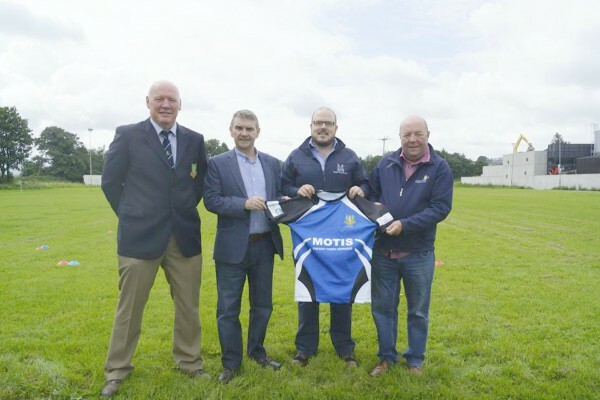 The Clubs main kit sponsor is Motis, Freight Ferry Services, The Club would like to thank Motis for coming on board this season and for their kind sponsorship The jerseys are also kindly sponsored by Nature's Best and Heat Tech.Seamus McCabe, PIPS Hope & Support is delighted to have been chosen along with KBRT as one of Newry Rugby Clubs chosen Charities for 2018 we look forward to working with and getting to know the club members and we would like to thank everyone for their support.